How Do You Spell CHORALLY? 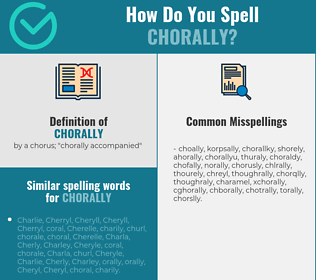 Correct spelling for the English word "chorally" is [k_ˈɔː_ɹ_əl_ɪ], [kˈɔːɹə͡lɪ], [kˈɔːɹə‍lɪ]] (IPA phonetic alphabet). 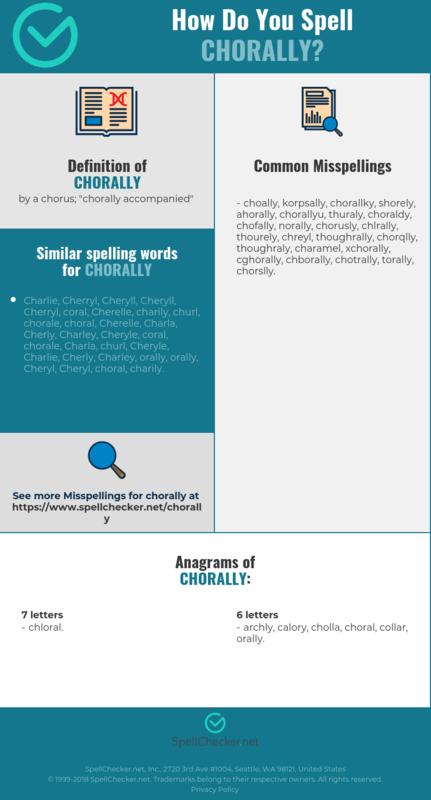 Below is the list of 238 misspellings for the word "chorally". by a chorus; "chorally accompanied"